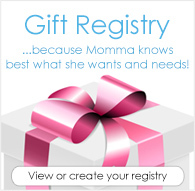 Whether you're shopping for gifts, creating a registry for your shower or just looking to treat yourself and your child to a comfortable new swaddle or blanket to snuggle under, you've come to the right place! Our blankets and swaddles come in a variety of textiles and stylish prints. From bamboo viscose to cotton and muslin, our selection of swaddles and blankets are quality made and affordable. The art of swaddling a newborn is alive and well. Keep baby comfortable and secure for a restful nap with our muslin swaddles or use them as a nursing cover, baby car seat cover, burp cloth and more. There's no end to the variety of uses you'll get from swaddling blankets.